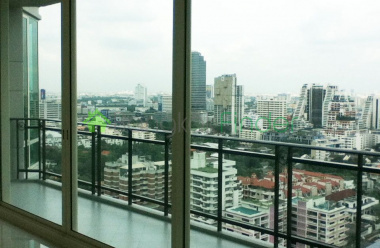 Condo 3 bed 193 sqm maid's room Asoke BTS A very generous space with great views, three bedrooms, four bathrooms and a maid's room all in a super-elegant, super-modern building on a very quiet and safe street at the very heart of the city's dynamic centre. 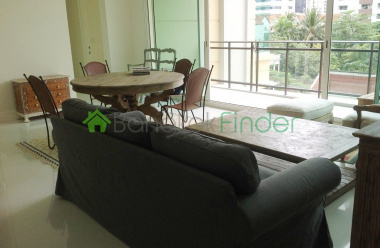 2 bedrooms 78 sqm Asoke condo BTS You are in a quiet and mature residential neighbourhood here, tucked away just off the Sukhumvit main drag and within easy reach of the transporation hub which is Asoke, under the magnificent Terminal 21 lifestyle mall. 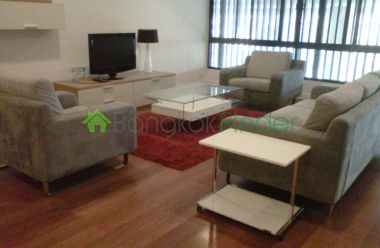 1 bedroom 51sqm Asoke BTS The street this excellent and spacious one bedroom condo is located on is part of a vibrant residential neighbourhood, with loads of facilities including shopping, supermarkets, banks and restaurants, as well as nightlife and access to the BTS and MRT at Asoke. 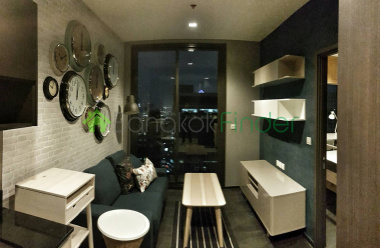 1 bedroom 53 sqm Asoke condo MRT Bangkok has a handful of key transportation hubs where you can change trains above and below ground, with the hub at Asoke principal among them. Here you can catch the MRT underground trains and the Skytrain, both taking you to other city junctions such as Phayathai and Makasan stations where you can join the airport rail link easily too. 1 bedroom 52 sqm Soi 21 Sukhumvit condo for sale At the very centre of the mass transit system and giving you access to the BTS and MRT mass transit hub at Asoke, this is a great location for taking advantage of all that Bangkok has to offer allowing you to take any train to virtually anywhere in town, including the international airport via the nearby Airport Rail Link. 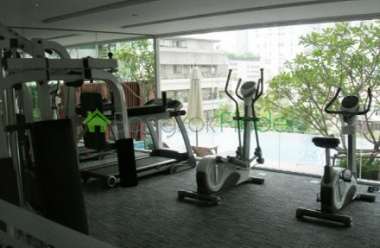 2 bedrooms 80 sqm Soi 21 Asoke condo Two bedrooms and two bathrooms in a beautifully designed and finished condo for rent covering a generous 80 square metres, fully furnished and ready to move in and in a great location at the commercial heart of the city. 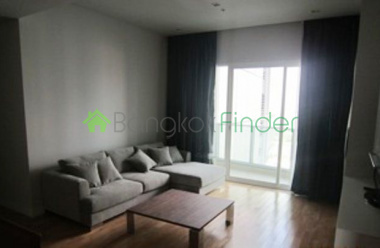 1 bedroom 47 sqm Soi 31 Sukhumvit condo This is a rare opportuntity for the single resident or professional couple - an excellent one bedroom condo for rent on a great residential soi at the heart of the city but still in a quiet residential area with lots of amenities on tap. 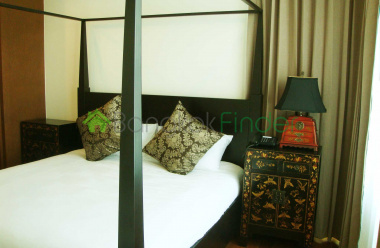 1 bedroom 55 sqm Soi 23 Sukhumvit condos This is a very tasty one-bedroom, one bathroom condo on a very lively soi replete with restaurants, shops and supermarkets and loads of entertainment of an evening and still handy for the CDB, schools and hospitals. 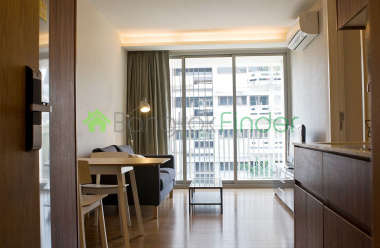 1 bedroom 60 sqm Asoke Sukhumvit condo This is a very desirable residence for a single resident or professional couple perhaps, just the one bedroom and bathroom, and the rest of the generous space available for dining, or office or study purposes. 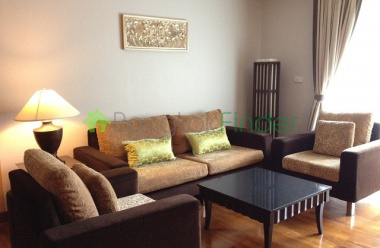 2 bedrooms 137 sqm Soi 16 Sukhumvit condos This is a delightful family home with two bedrooms, two bathrooms and a very generous 137 square metres of quality space to enjoy. 2 bedrooms 70 sqm Soi 18 Sukhumvit condos This is a fantastic location at the very centre of things with the Asoke mass transit hub just a walk away with Asoke BTS station and Sukhumvit MRT stations, not to mention the dynamic new Terminal 21 lifestyle and shopping centre, Robinsons Department Store, Times Square shopping, and some well-established prime offices too. 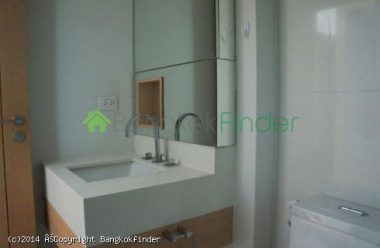 Condo for rent 2 bedroom Sukhumvit Asoke BTS Beautiful, stylish contemporary design characterises this luxury condo for rent in one of the city's most desirable residential sois, just minutes from the Phrom Phong BTS station. 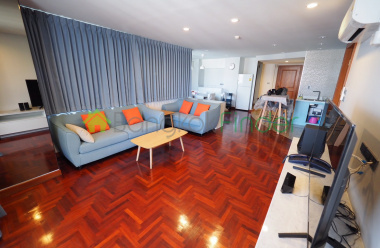 2 bedrooms 128 sqm Soi 20 Sukhumvit condo This is a classic luxury condo with stylish design and furnishings providing a wonderful, restful ambience in a very quiet home high above the busy city below. That means from your two-bedroom, two-bathroom condo you have room to relax plus amazing city views night and day, and a guarantee that you won't ever be disturbed this high above it all. 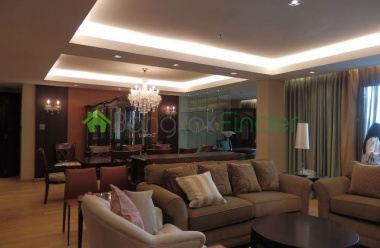 4 bedroom condo for rent Sukhumvit This is a very fine luxury residence adjacent to the Philippine Embassy, complete with a maid's quarters and a big balcony overlooking the quiet residential neighbourhood. A huge 295 square metres of living space in this condo for rent gives you and the family room to spread out and breath, but still with lots of privacy too, here at the heart of the city. 3 bedrooms 130 sqm Soi 31 Sukhumvit condos This is a very stylish, beautifully furnished condo in a street that is enjoying increasing status as a quiet and peaceful residential soi, with a number of amenities in place and access to much more, just a walk away at the Emporium and supermarkets, all within easy reach. 2 bedrooms 70 sqm Soi 21 Sukhumvit BTS With two bedrooms and two bathrooms in a 70 square metre condo, there is still a generous living space for dining and relaxing, and the added bonus of a nice balcony with room enough for tables and chairs, to enjoy the evening breezes with cocktails or dining al fresco. 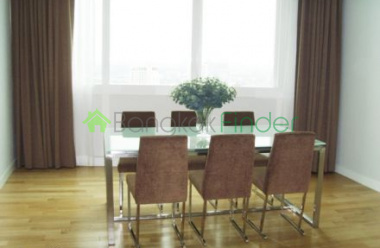 Condo for rent 2 bedroom Suk 23 BTS A very beautifully finished and decorated condo for rent covering 78 square metres with two bedrooms and two bathrooms and lots of uncluttered lining space in which to relax away from hectic city life. The condo is fully equipped and fully furnished with premium grade fixtures and fittings and enjoys a lovely pool view from the 5th floor. 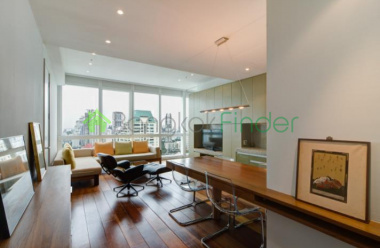 Condo for rent The Address Asoke A very stylish condo for rent with two bedrooms and two bathrooms and loads of room to spare for dining and leisure in this 65 square metre luxury condo. It's at the New Phetchburi Road end of Asoke, but still well within reach of the BTS and MRT stations at the Sukhumvit end.